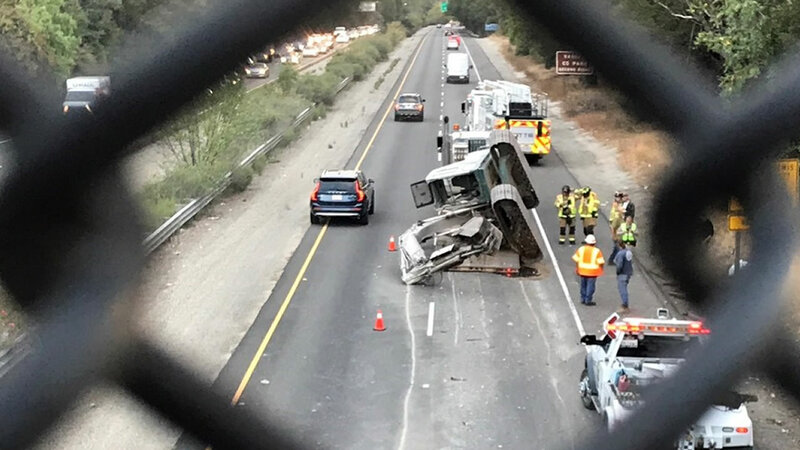 LOS GATOS, Calif. (KGO) -- A mishap damaged an overpass along Highway 17 in Los Gatos Thursday afternoon. A large piece of construction equipment hit the overpass and knocked out several pieces of concrete. That excavator then fell off the truck that was hauling it. Nobody was hurt, but as you can imagine, the accident triggered a traffic jam on southbound Hwy 17.